Win a Sonos Beam Soundbar & Sonos Sub worth £1098 | FreebieFinder UK | Freebies, Samples, & Other Free Stuff. Stuff is giving away a Sonos Beam Soundbar & Sonos Sub worth £1098 to one lucky person. 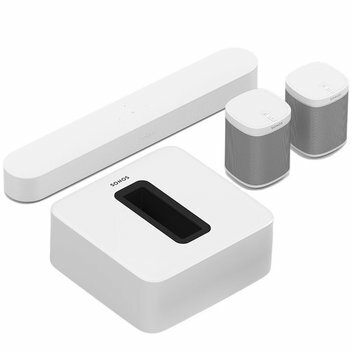 The Sonos Beam (RRP £399) is not just a good soundbar. It's been at the summit of our Top Ten for ages and, in the recent 2018 Stuff Awards, it scooped both Hi-Fi Gadget of the Year and overall Gadget of the Year. This was posted 4 weeks ago 26th March 2019 and expired 3 weeks ago 29th March 2019. Enter this competition on the Stuff website to be in with the chance to win.